I went to Andaluz for my birthday because I had heard so many amazing things about it. I assumed it had to be good. The service was fantastic, the atmosphere was comfortable, the food was a different story altogether. I couldn't believe that this came to us from the people that brought La Capitale and La Margarita. Those two restaurants have never disappointed me, but Andaluz made me sad on my birthday. We asked if the sangria had fruit in it and were told that it did, the "fruit" came on a stick dropped into the sangria. It tasted okay. We ordered clams, squid, kale and squash on crostini, potatoes, bread, and the olive plate. I expected the potatoes to be cooked with seasoning, but they had the appearance of just having seasoning shaken on top after they were cooked. The clams were spectacular, the squid was the perfect texture, but I might as well have been given a salt lick. The crostini wasn't what I expected either, it was unreasonably hard, I was a little afraid that I would break my teeth. I really wanted to like this place. Alas, I cannot say that I did. Pros: Amazing service, easy-to-find location, great clams, comfortable atmosphere. I'm rather convinced that I was just there on a bad night. Maybe the chef that night was a smoker and over-seasons, maybe I was just being punished by the food gods. I'm sticking with La Margarita and La Capitale. Some of the food was cooked really well, the squid was a perfect texture, but it was an adventure in over-seasoning. I would choose Andaluz over La Margarita or La Capitale any day of my entire life. I would choose Andaluz over most restaurants, actually, because I love it that much. I always find plenty of dishes there that I adore, and if I don't love them - someone else at my table will. Plus, the menu changes all the time, which is fun. Many of the dishes are so creative and wonderfully delicious. I love getting little tastes of lots of things. And regardless of which dishes I order, the meal always starts and ends well: Bacon-wrapped dates to start, and churros dipped in chocolate sauce at the end. So great! I'm willing to try it again some time. I've gotten food from both La Margarita and La Capitale that just blew me away. Andaluz' fare....didn't. Well, obviously this is your personal opinion but mine is that Andaluz is *easily* the best restaurant in Salem. My wife and I have eaten there at least 2 dozen times, and i can honestly say that after all of that time, we've had maybe 1 plate that didn't blow us away (serrano ham on toast, i just don't care for it). Jia, it sounds like you may be unfamiliar with tapas. In my experience, the food at Andaluz is authentic and well-prepared. The way they make patatas bravas is as it should be. Sangria doesn't need a lot of fruit -- often it has none. You may have just ordered the wrong things or you don't like tapas all that much. I thought this review was a little unfair to Andaluz. PS. No dessert on your birthday? If the churros were on the menu you missed out. It is clear from past reviews that Jia and I have completely different tastes and this one is no different. Andaluz has been exceptional on all of our visits. The food especially. Service and ambiance are good, but the food is the star. Lots of great flavors. Of course that means that there are some things that I just don't like, but that is the breaks when something is bold. Andaluz is very very highly rated in my book. It is heartening to see a civil discussion of opposing views. Go team!! What about using this as an opportunity to revise what constitutes a "review"? Most of the posts here would not meet the Association of Food Journalists' critics guidelines. While it may not be possible or practical to insist on them every time, it might be useful - and boost credibility - to try to meet more of these standards in each post. To the original poster Jia, it seems as though the photo you took of the Sangria contradicts your statement that the Sangria came with no fruit or just fruit on a stick? I see orange and is that apple floating all around in the glass? I have been to Andaluz many times and their Sangria (fruit included every time) is one of the best! Perhaps if you order it by just the glass it is served differently? Mr. or Ms. Anonymous (from yesterday)....your insightful statement (not) proves that you may not be the best patron to experience such a place as Andaluz, clearly...."young guys from Mexico reheating your food"....yikes, talk about ignorance. Andaluz has never let me down. 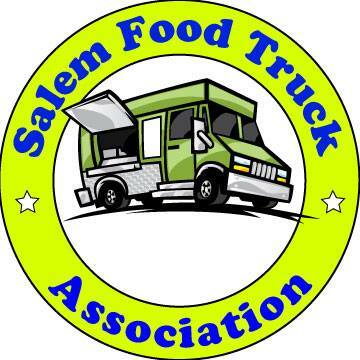 It's one of the best restaurants Salem has to offer currently and it is always at top of our list when my friends and I want to mingle and chat over great, authentic and culturally diverse food and great beverage. Keep up the fantastic work! The patatas bravas and sangria are very authentic to Spain. I really hope you go back, as it is worth another try! The patatas bravas and sangria roja are very authentic (having lived in Spain and just recently visiting I can assure you). I hope you try it again, it really is quite good. To other posters, thanks for letting me know about the churros, I've been afraid to try...but now I will! The churros are worth the visit all by themselves. I am usually not a sweet tooth kind of guy but those warm sticks of cinnamon and sugar dipped in warm chocolate are just ridiculously good. I just have to weigh in on this one because I believe Andaluz is my favorite restaurant in town. In addition, I've tried tapas in places from Portland to New York (though never Spain, sadly) and Andaluz is as good, if not better, than the other places I've tried. That being said,I have come across dishes at Andaluz and other tapas restaurants that just didn't suit me. I don't order those dishes again. Toast/sandwich items are often items I don't like because the bread can often be difficult to eat (too chewy, too crumbly, etc). Some of my faves at Andaluz are the sauteed mushrooms, albondigas, and any of the cheese plates. Gonna have to disagree with this review. Everytime I go to Andaluz, the food is stellar. The trick is, go on a Wednesday night when its Paella night and make sure you make it in during happy hour when tapas and sangria are cheaper. Plus if you order paella you get any one of the tapas under $7 for free with one order of paella. The paella has chicken thighs, chorizo, shrimp and and mussels over a bed of rice and you'll leave fully satisfied. Also, never ever leave that place without eating the churros with chocolate dipping sauce, for shame, for ever-living shame if you don't try them. The reason is that they fry em up to order and you will be fighting your friends or family for the last piece and like me you'll be drinking the chocolate sauce like a digestif. Everyone has different tastes and preferences, but Andaluz is one of my favorite places to go with friends. I like to hit La Capitale for fancy cocktails with Rob and then head to Andaluz for food. There have been items that weren't my favorite, but in general I appreciate the flavors and thought that goes into each dish. Personally I love the house marinated olives and even though I don't have a sweet tooth, the churros are a must! We've been to Andaluz at least 5 times and it was been a great experience every time. Good service. The restaurant itself is a little less than cozy. But the food has been exceptional. I know that we have had dishes that were pretty strong flavored, but rarely something that failed to at least push the boundaries and 95% of the time we love the dish. This is a pretty cool joint.